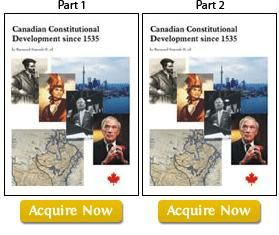 ISBN: 1897036310, AND 1897036078, 2007. 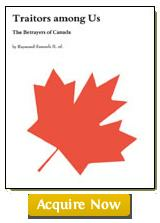 The book entitled 'Traitors Among Us: The Betrayers of Canada' features a compilation of articles from The Canadian National Newspaper. These articles both expose and also challenge an apparent assumption by many of Canada's corporate and political elites. This apparent assumption, championed by large mass-media conglomerates in Canada like CanWest Global, is that the only "rational" course for Canadian society, is to assimilate itself into the U.S. political-military-industrial complex. 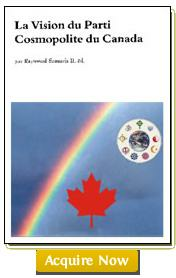 Canada, has been championed as an alternative society to "America" since time immoral. As Canada has evolved, since its cultural-political inception since 1535, the essence of its society has taken a distinctively socially progressive national identity. Jean Talon, Canada's first Intendant in the "ancien regime" of New France, envisioned Canada as a Great and Powerful State, that was critically inspired by the Old World aboriginal civilizations of Canada, in synergy with "Old World" values of Europe. Prime Ministers of Canada before Brian Mulroney had all rejected so-called "Free Trade", out of a now further substantiated concern that Canada's vital social fabric and independence from the United States would be destroyed. Tommy Douglas' championing of universal medicare vitally further affirmed Canada's distinctively progressive social fabric. Former Prime Minister Pierre Elliot Trudeau, sought to further embrace the progressive identity of Canada, by seeking to champion the Charter of Rights and Freedoms. 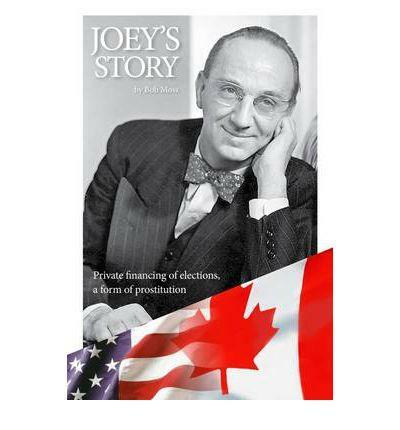 He did that, in his efforts, as a Great Canadian, to fulfill Canada's destiny as a Just Society, which would operate as a role model for the rest of the world. In sharp contrast, current Prime Minister Harper cannot see any role for Canada other than that of participating in international affairs as a puppet of American Empire via "Globalization". Historically, the American Revolution had sought to destroy a connection to "Old World" values, symbolized by cultural-political ties with Britain. America's elites sought to create an assimilating "melting pot", which would be created by the idolizing of a gun culture of violence associated with the American Revolution, which has further embraced militaristic jingoism. Canada's political leadership, sought in response to the American Revolutionary context, to cultivate a society of "Peace, Order and Good Government" which would inspire a society that recognized the ideal of 'civility' in the development of our cities as communities; and where there was a positive constructive role for government in societal development. That sought role fundamentally embraces further adopted tenets of appreciating for example, multiculturalism, and 'universality' in relation to a comprehensive one-tier public healthcare system, within social justice, in general. That socially responsible role of government has vitally contributed to a reputed much better quality-of-life in Canada, as compared to the United States, which is plagued by horrific segregated poverty alongside elite affluence, and by accompanying prevalent violent crime in its cities. Many of Canada's corporate and political elites under the clandestine agenda of efforts to create a so-called "North American Union", (apparently by any means necessary), seek to destroy Canada. Canada's corporate and political elites used to be among the greatest defenders of the need to defend Canada's sovereignty. The elites had recognized that their institutions were the very creatures of the aggressive defence of Canadian institutions. These recognition among institutions included representatives of wealthy financial institutions, to smaller community-oriented initiatives and public agencies. However, thanks to former Prime Minister Brian Mulroney's successful proselytizing of greed and venality, to once politically loyal elites, via the "benefits" of "Free Trade" with the United States, much of these elites now elect to sell Canada out. Prime Minister Brain Mulroney had dysfunctionally inspired a new generation of greed-driven mercenaries who operate in the mass-media, in the likes of CanWest Global owners (who help fund the Conservative Party), TorStar, Quebecor Sun Media, and other such neo-conservative public relations outlets. Only BellGlobe Media, inclusive of the Globe and Mail, CTV, and CHUM, (as well as in particular, a handful of community and campus media outlets) have maintained any semblance of journalistic integrity, in the present sea of elite-managed propaganda. Canada's corporate and political elites now linked to the U.S. religious-political-military-industrial complex, which is operating in overtime, is trying to convince Canadians to accept the dysfunctional polices of the Harper neo-conservative minority government toward an elite sought right-wing majority government. Dysfunctional policies which are supported by current Prime Minister Harper's allies, include presiding over the sabotage of Canada's universal public healthcare system to destroying treasured Canadian institutions like the well renown Wheat Board, so as to cause Canadian farmers to be ruled by U.S. agri-business privatization agenda. Additional policies include ignoring the plight of growing poor communities in Canada which include women, homeless peoples, immigrants, and aboriginal peoples, and also reckless pro-Global Warming policies. The 'Canadian Dream' refers to the evolved collective aspirations of Canadians, as inspired by such recognized Great Canadians as Tommy Douglas and Pierre Elliot Trudeau, to fulfill the national destiny of Canada, as a socially independent society, that is independent from the United States. The prevailing systematized efforts to sabotage the achievement of the 'Canadian Dream', is the apparent betrayal of Canada to a traitorous agenda. 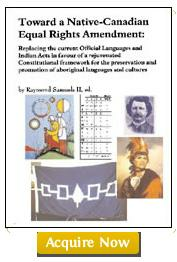 Raymond Samuels II, the editor of this book, has a professional background as an academic lecturer, and consultant, in areas which are related to the compiling of this book.